His first release with new material since 5 years! Elvez has stepped into the spiritual ring to take on all the challengers going toe-to-toe, mano-a-mano with styles and religious ideas in the way only he can, no stone left unturned! 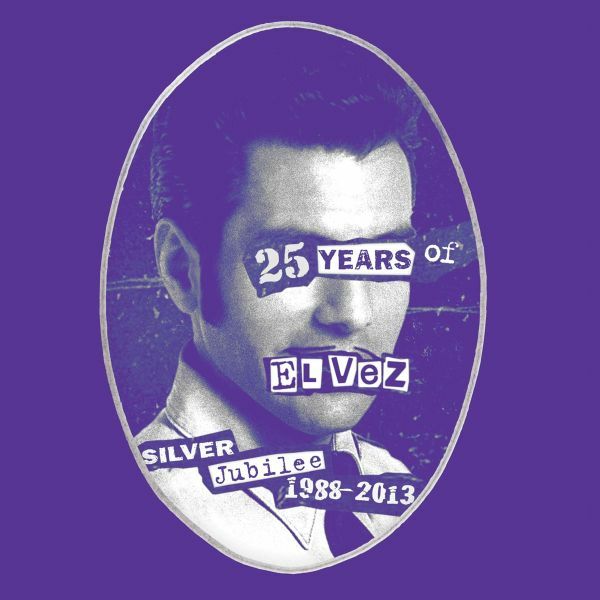 El Vez, the Mexican Elvis, celebrates his Silver Jubilee with a limited edition CD which includes, among its 24 tracks, previously unreleased outtakes, remixes, and live recordings from his many shows over the years. Hear classic songs by Leiber and Stoller, Lennon, Bowie and Morrissey among others reinterpreted in the inimitable style of El Vez and get the closest experience to one of his spectacular live shows! "El Vez is more than an Elvis Impersonator... he is an Elvis translator, a goodwill ambassador for Latin culture." ROLLING STONE. So, yes, it's not only us praising the King, I mean El Rey! El Vez isn't a conventional Elvis impersonator at all. He takes 50 years of popular music and knits it together to arrive at a revue style of ginormous proportions. T. Rex, The Jam, Iggy, U2 and Aerosmith all go under the thunder and into the blender. "Jesus Christ Lowrider Superstar", "Sympathy for the Devil (Bush)"... the fun never stops!. 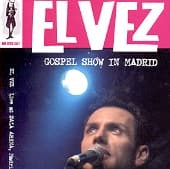 This DVD captures the magic and entertainment of Elvez live show, this time his "Gospel" show in Madrid in 2007. It looks great with a 6 camera shoot! This film should whet your appetite to be first in line for tickets when they hit up your town or somewhere nearby. EXTRAS: TWO videoclips (one for "Sai It A Loud" and one for "Go! Zapatistas Go!" PLUS songs from The Gospel Show shoot in Toronto (Canada) PLUS an El Vez Intro PLUS El Vez Discography. Now Cheaper! TRACKLISTING: 01. Where Could I Turn But To The Lord 02. I'll Fly Away 03. Walk A Mile In My Shoes 04. Hurraches Azules 05. Lily Of The Valley 06. Introduction Of The Elvette 07. Quetzalcoatal 08. Lily Of The Valley Segue 09. Devil With The Blue Dress On 10. Sympathy For The Devil Bush 11. Inmigration Time 12. Lily Of The Valley Segue 13. La Lupe Intro 14. Lordy Miss Lupe 15. Lily Of The Valley Segue 16. Rubbernecking 17. Hava Nagila / Miserlou 18. Lily Of The Valley Segue 19. Orale 20. Lust For Christ 21. Arm Of Obregon 22. I Just Wanna See His Face 23. Intro Of The Memphis Mariachis 24. How Great Thou Art 25. J.c Low-rider Superstar 26. Ask The Angels 27. Saved. This album compiles 7" singles released on the Sympathy for the Record Industry label in the early 1990s. How Great Thou Art features strong but stripped-down production, a crack band, and a number of ace rewrites of songs made famous by Elvis. The album contains a wide range of moods, from the loopy "Maria's the Name (of His Latest Flame)," which uses as its musical foundation Bow Wow Wow's version of "I Want Candy." "In el Barrio" is a serious rewrite of Presley's "In the Ghetto." 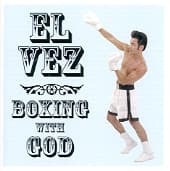 El Vez has searched his vaults for rare recordings and missing tracks, one time only live sessions, unreleased versions, live radio broadcasts and even phone messages! He has even commented on each track in his liner notes to give you a close in-depth personal view on this beast.